Here's a perfect little gift set to delight any fans of this endearing love story! 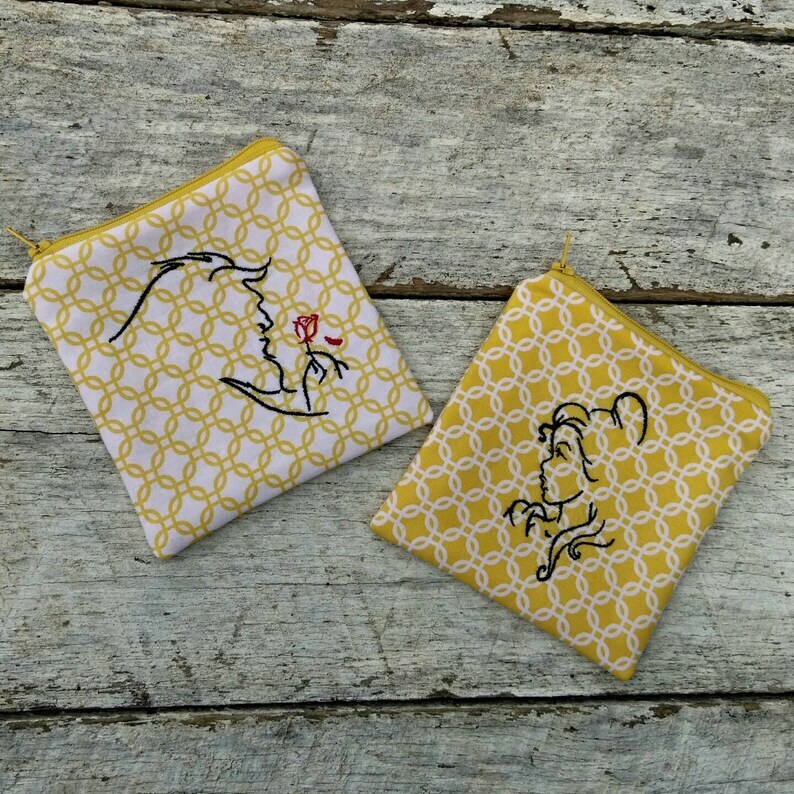 One pouch features lovely Beauty, and the other features the beast and his rose. In coordinating yellow and white fabrics, the pouches perfectly compliment each other. These pouches measure approximately 5"x5". The designs are machine embroidered on the pouch fronts. They are fully lined in the yellow and white polka dot cotton and have a layer of flannel between the cotton fabrics to give a little extra body and a nice squishiness. You may purchase either pouch separately, or save money by purchasing both together. Just select your options in the pull down menu when you order.